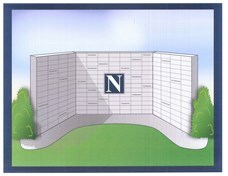 A "Granite Wall of Fame" has been erected outside of the Reagan All-Sports Complex. You can be part of this project forever by purchasing an inscription. See below for order form.